Need more information about booking Home 9147425 ? 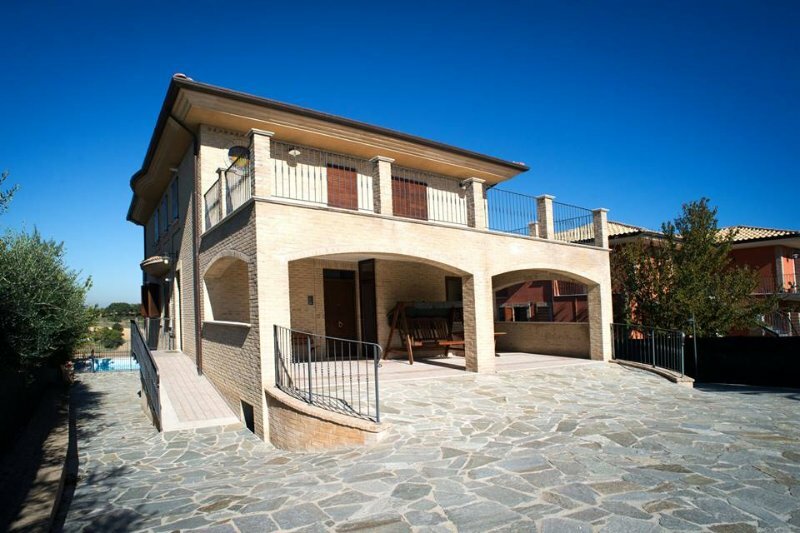 Surrounded by the huge green and relaxing of Fermo, a town in the Marche region, the Bed and Breakfast Holiday Castellano allows you to live a real holiday of total relaxation and absolute comfort. These two features are the result of several details that do nothing except make more present both concepts, especially regarding the relaxation itself. The natural scenery it is able to offer the unique feeling of pleasure: to observe the natural panorama that is offered by the sight of the B & B and greenery that surrounds the structure allows completely to forget all the hustle of city and everyday life which could result in quite a few consequences negative. But not only the natural look that embraces the structure is the only detail that increases the level of relaxation that you will experience when you decide to spend their holidays at the B & B. You can get in touch with Alessandro (the owner) through the contact form on this page. Send Alessandro (the owner) an email through the contact form on this page. Alternatively, if there’s a phone number on this page, you can call them. How do I contact Alessandro (the owner)? If you’ve already booked, go to Manage your holiday booking to view Alessandro the owner's contact details or send them a message. Or send Alessandro (the owner) an enquiry through the Contact the owner/manager form if you’d like a quote or more info first. When you pay online through the Book your stay form, a booking request is sent to Alessandro (the owner). You’ll find out within 24 hours whether they’ve accepted - no money will leave your account before then. You can also request a quote from Alessandro (the owner) through the contact form. The owner will email you the total cost for your dates and a link to book and pay online. Use the Book your stay form to pay provisionally online. You can pay by credit/debit card or PayPal. Alessandro (the owner) will have 24 hours to accept the booking and no money will leave your account before then. Why can't I call Alessandro (the owner) before booking? You’ll need to contact Alessandro (the owner) to do this. Send them a message in Manage your holiday booking or through the contact form on this page. You can request to change the dates or number of people on your booking via the Manage your holiday booking page. To change your holiday dates use the Edit booking button. If you need to change the number of guests staying then send Alessandro (the owner) a message. If Alessandro (the owner) agrees, they’ll send you a revised quote outlining the changes. You can review and accept/decline this from the Manage your holiday booking page. You’ll have 48 hours to take action before the revised quote expires.